(CBS News) Republican National Committee Chairman Reince Priebus didn't mince words Sunday, calling Senate Majority Leader Harry Reid "a dirty liar" over his criticism of Mitt Romney's tax returns. "I'm not going to respond to a dirty liar who hasn't filed a single page of tax returns himself [and] complains about people with money but lives in the Ritz-Carlton here down the street," Priebus said on ABC News' "This Week." "And the fact that we're going to spend any time talking about it is ridiculous." Reid said last week on the Senate floor that an unnamed Bain Capital investor told him that Romney hasn't paid any taxes for 10 years. Romney has only released his full tax return from 2010 and a summary of his 2011 income taxes, leading Democratic critics to suggest he's hiding something by not releasing more of his returns. Sen. Lindsey Graham, R-S.C., also slammed Reid Sunday, saying, "I think he's lying about his statement of knowing something about Romney. "I think he has created an issue here. I think he's making things up," Graham said on CNN's "State of the Union." Democrats said they don't know who Reid's source is, but they are placing the onus on Romney to release more of his returns and prove otherwise. "Mitt Romney can go to Kinko's; he can photocopy his tax returns," Obama campaign adviser Robert Gibbs said on ABC's "This Week." "Romney could give us the proof that he has paid taxes consistently," former Ohio Governor Ted Strickland addedon CBS News' "Face the Nation." "The Romney campaign and Governor Romney can resolve this in 10 seconds," Obama campaign adviser David Axelrod said on "Fox News Sunday." "It was Governor Romney's father who pioneered the release of tax returns when he ran for president, gave out 12 years of tax returns, because he said one year can be misleading. Why don't they just put it to rest? What is it that he is hiding?" 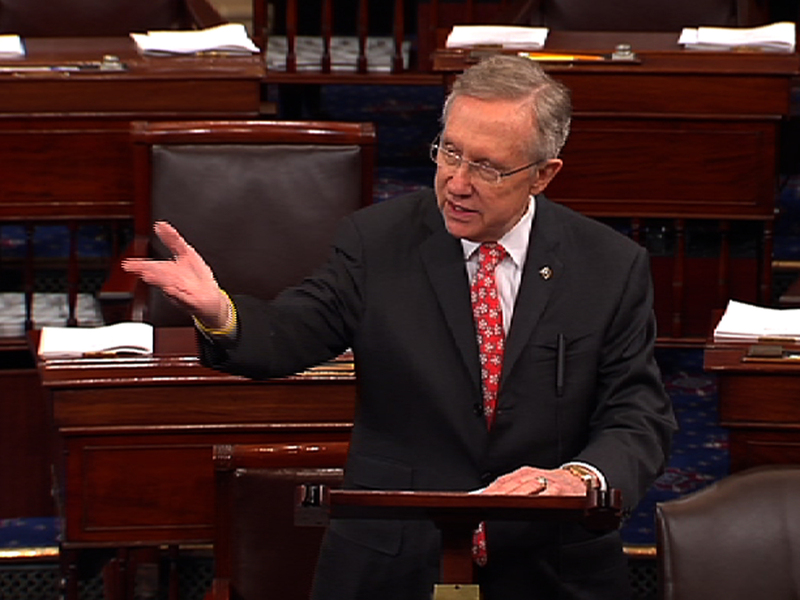 When asked if the Obama campaign directed Reid to either make the statement or if the campaign asked him to stop making the claim, Gibbs said, "I don't think anybody controls Harry Reid."